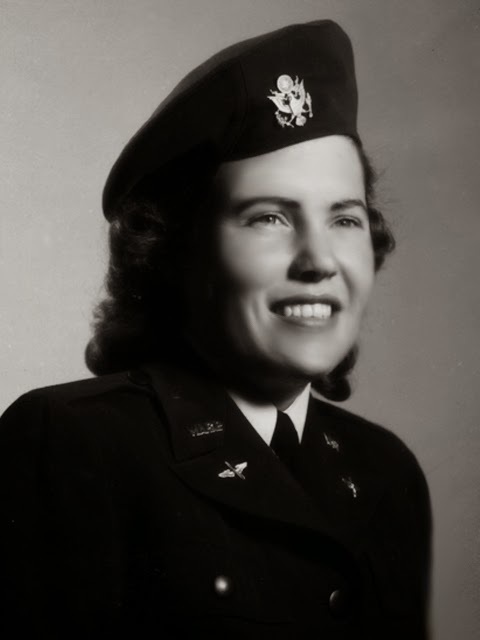 Former Healdsburg High School teacher Florence Wheeler, who served as a member of the Women’s Airforce Service Pilots during World War II and later received a Congressional Gold Medal, died Monday of a heart condition. She was 92. Born Florence Emig on April 6, 1922, in Santa Clara, she learned to fly while attending San Jose State University in the early 1940s. She became a flight instructor, and had racked up more than 1,500 hours of flying time before applying to become a WASP, said her son, Keith Wheeler. She was one of 1,074 women who became military-trained pilots, ferrying fighters and bombers during the war in order to free men to fly combat missions. The women were not considered part of the military, though they were awarded veteran status decades later. Wheeler moved to Nevada after civilian aviation was terminated with the onset of war in late 1941. While there, she trained military pilots before she entered the service in 1944. She earned her wings in Sweetwater, Texas, and served as a WASP for just 10 days before the group was disbanded in December of that year. But her flying days continued long after her wartime service. She returned to San Jose to finish college, and taught lessons to prospective pilots at Reid-Hillview Airport until 1952. She passed that enthusiasm on to her own father, Bill Emig. She taught him how to fly in 1950, and he earned his pilot’s license at age 74. Bill Emig was the sheriff of Santa Clara County, while Florence Emig’s mother, Leora, fed the homeless and poor during the Great Depression. The family ethic was one of service to the community. By the time she was 30, she was a home economics teacher at Healdsburg High School, where she taught for 30 years. She met her husband, Marshall Wheeler, in the mid-1950s at the high school and they married in 1956. Their son, Keith, was born in 1957, and their daughter, Paula, in 1958. While raising her family, Florence Wheeler continued to be active in a Sonoma County flying club. She also made her own clothing, as well as clothing for her children. She made her daughter’s prom dresses and also created costumes for high school plays. She learned woodworking, plumbing and basic electrical work, and also enjoyed art, painting and other crafts. She handcrafted some of the family’s furniture. After retiring from teaching, she returned to school at Alameda City College, with her daughter, to study fashion design for two years. She was active for decades in the Unitarian Universalist Church in Santa Rosa, of which she was a founding member. She traveled to Paris, London and Egypt, and she and her husband enjoyed the outdoors and hiking at Yosemite. She hiked around the Healdsburg area until about 2008, when her health began to decline. In 2010, despite flagging health, and at her son’s insistence, Wheeler attended the Washington, D.C., ceremony awarding the World War II WASPs with the Congressional Gold Medal. “We had a great time, maybe that was the best time I ever had with my mom,” Keith Wheeler said. A novel by Jeane Slone, “She Flew Bombers,” is loosely based on Florence Wheeler’s life. She served as a technical editor for the novel, which Slone dedicated to her. Florence Wheeler is survived by her husband, son and daughter. A memorial service is planned at 1:30 p.m. April 18 at the Unitarian Universalist Church, 547 Mendocino Ave. in Santa Rosa.